EVENT ON SATURDAY, OCTOBER 29: For the last few months, I've locked myself in a cellar, conjuring up just the right spell to resurrect Stonewall's annual "Halloween #FrightNight" For the FOURTH consecutive year! 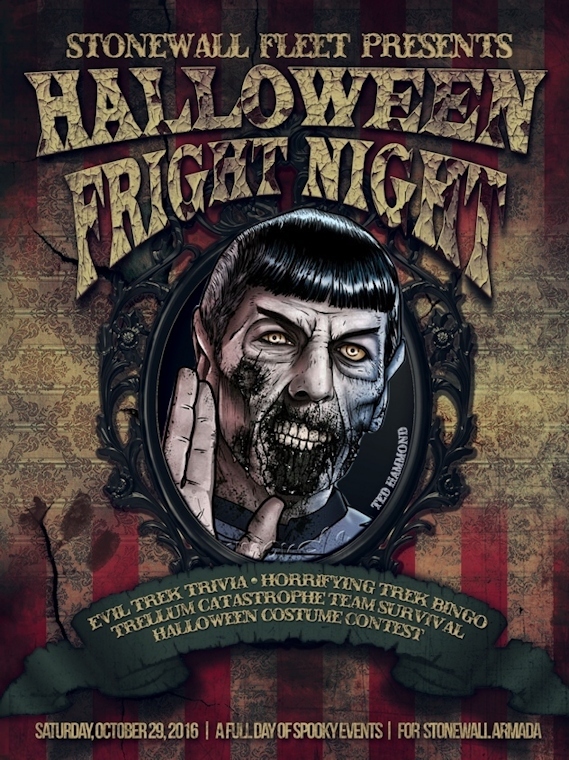 Fright Night is the annual gathering of Stonewall armada members and friends (living or dead), for a series of spooky, Star Trek themed events, in honour of All Hallows' Eve: the galaxy's most horrifying holiday! Among the events that we're hosting are: the Star Trek Trivia Experience, Trek themed Bingo, a Halloween Costume Contest, and Stonewall's EPIC, original event: "Trellium Catastrophe", among others! Naturally, we're giving away Stonewall Credits as event prizes, which can be redeemed at the Stonewall Credits Store for amazing in-game ships and swag! We're also giving away some Zen and other unique items for the winners of the Trellium Catastrophe event! See the event schedule below for details on each event! See you all there... if you dare! We'll start our ghoulish gathering at Stonewall Fleet's newly acquired K-13 Station, since to hold a Halloween event, there would be no better location. Here, in the eerie and dilapidated halls of Starfleet's long forgotten past, we'll kick off the day's events with a quick speech, once we've all there amassed. Come alone or bring some friends and we'll flood the PvE queues before the night descends, as we prepare for a full day of spooky, Halloween-themed events! *Our legal department has advised us to clarify that the phrase "certain victory" is not intended to imply any actual chance of success. 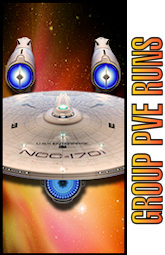 Once we've finished destroying the PvE queues, we'll be running TWO back-to-back Star Trek themed bingo games! Round one will be Star Trek villain themed while the second round will be Holodeck Adventures and Alternate Persona themed, to leave you with a good, Halloween Fright Night scare! 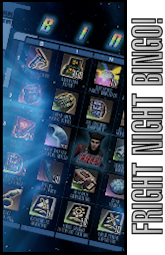 Those of you who have played in our bingo events before, know how it works: everyone will be given a link to their own, unique, web-based bingo card that can be accessed through your browser or tablet. We'll call out clues to the characters on your bingo card, and you'll mark off the icons on your card that match the clues that are called! The first to achieve different bingo combinations will win prizes! The Horrifying Costume Contest is one of our favourite events from all of the previous years. We've scheduled a break in-between events to give you time to hit the tailor and create some stunning entries for this contest! As always, our costume contest will have FIVE different categories and your Captain can enter as many or as few of the categories as you like! A winner for each category will be chosen by a panel of judges; that means FIVE chances to win best costume in any of our fun award categories! See the second post in this thread for our costume contest categories and prizes. We saw some amazing entries last year, and we're excited to see the creativity of our fleet members again, this Halloween! Remember: the best entries are usually those who create a costume ahead of time, so think about your costume ideas in advance! After our costume contest concludes, we'll take to a ground PvP map for two matches of Zombie versus Zombie Hunter PvP, which will pit one or two fully equipped 'Zombie Hunters' against the remaining horde of Zombies who will attempt to destroy them by hand, biting off one chunk of flesh at a time! 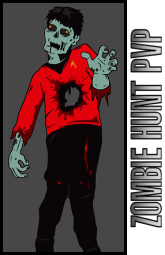 Join us for this amazing fun and make sure that your Captain is appropriately zombified for this event! Something is wrong... VERY wrong. 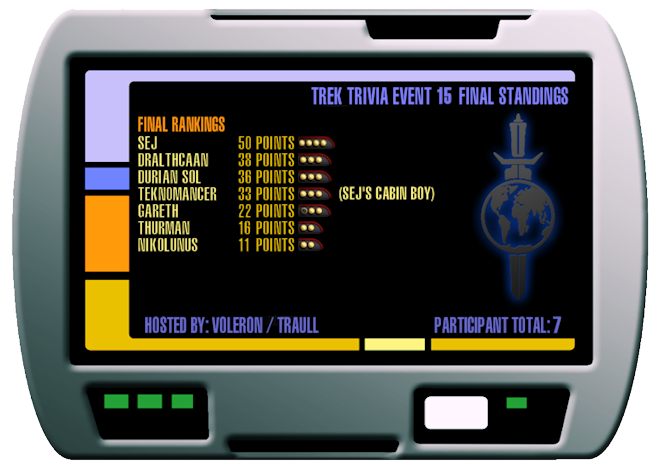 Something has happened to the Emergency Gameshow Host Hologram (Mark II), and those of you who have joined us for Stonewall's infamous Trek Trivia experience in the past, will find that there are some horrifying changes in store for them. The whole thing is really quite classified and I'm not even authorized to tell you what I already have... just come prepared. 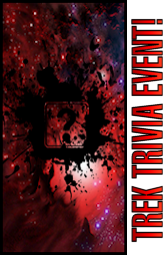 As always, you'll want to be sure to join us for this AMAZING event, even if trivia isn't your forté; it's about the experience of this epic event and slower typers will find that there are some new changes to the game that might help them dispatch our typically high scoring players! This audio event is held both in-game and on TeamSpeak, but you're not required to speak in order to participate. See our TeamSpeak Setup Guide in the documentation portion of the site to ensure that you're ready to participate on event day! You won't want to miss this amazing fun! 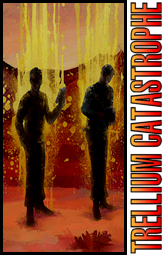 Trellium Catastrophe (newly re-designed this year) is our flagship event and the last event of our Halloween Fright Night! In this event, we'll get you to pair up with a friend (or we'll help you find a teammate), and we'll take you on a guided, ground-based, haunted-house style foundry mission. You and your partner will be given a handful of objectives to complete and the teams that complete this creepy mission the fastest, will win amazing prizes! Each member of the fastest team will win 2,500 ZEN in addition to Stonewall Credits! The average speed of completion for the mission is a short, 17 minutes of terrifying fun! It's highly recommended (though not required), that you and your partner join us on TeamSpeak for the duration of the run for background music and sound effects that make this an immersive experience! Check out the trailer for this event, below! Yay! 100% will be there! who wants to partner up with me? Ugh! I was hoping team Wino would be owning the haunted house! Me too Francis me too. 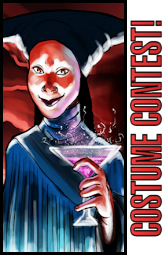 With Stonewall's Halloween #FrightNight fast approaching, we've posted the various costume contest categories below, so that you can all get a head-start at the tailor, crafting your other-worldly creations in preparation for the show! As with every year, our Horrifying Costume Contest event has FIVE different categories and FIVE different chances to win. Enter as many of the different categories as possible to increase your chances of winning! Not only will the winner of each category be awarded 3 Stonewall Credits for use in the Stonewall Credit Store, but we also have some codes for UNIQUE swag that you can't get your hands on ANYWHERE else, that we will be giving away to select participants! Be sure to join us for this amazing event! See the first post in this thread for the event time in your time zone! ············································· Best Superhero Likeness Category! The last few years we've seen an explosion in superhero movies hitting theatres around the world. Take inspiration from your favourite superheroes who continue to give the world hope, in our first Halloween costume category: the Best Superhero Likeness! 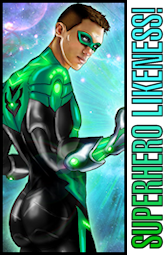 We're looking for your BEST superhero re-creation costumes or create your very own, unique superhero, but be sure to have an inspiring story to tell the judges! 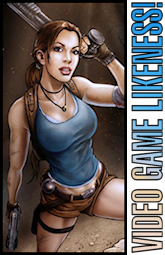 Show us your most impressive video game character re-creation in this, our second Halloween costume category! The traditional Link or Mario and Luigi costumes can be just as impressive as some of your contemporary favourites, if done right! If that doesn't tickle your creativity, then pick a character from your favourite video game and show us your best job at re-creating them! ············································· Best Trek Likeness Category! We do this category every year since it's so popular! 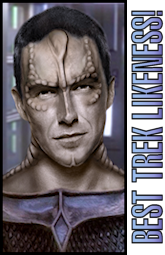 We want to see your best Star Trek character re-creation! Think outside of the box to broaden the possibilities of this category; your creation doesn't necessarily have to be a regular or recurring character... consider lesser known characters or even extras that we've only seen once or twice! Take inspiration from some of the cool cosplay costumes from Trek conventions on Google if you're low on inspiration! Show the judges your most horrifying Halloween costume in this scariest Halloween costume category! Whether it be a zombie Spock, or some other creature from the depths of your worst nightmares, we want to see the worst your twisted mind can offer! We're hoping for you to show us a good scare! ············································· Your Dream Boyfriend / Girlfriend Category! We want to have a little bit of fun in our last category and we're giving you complete creative license on this one! 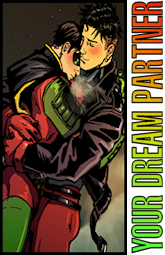 We'd like to see your dream boyfriend, girlfriend or other-worldly partner creations! The winner of this round may not necessarily have the best looking costume with the softest skin and most supple cheeks (that might help), but may just have a bizarre creation with an amazing back-story to tell the Judges that might make them laugh! Remember, this is the 25th century and inter-species dating is a thing! Don't feel pressured to date another human! Hi, Does anyone know how to make your toon look like a mirror? Due to an unforeseen real life work call-out, I unfortunately have to re-schedule the Halloween #FrigntNight event from today, Saturday, October 29, 2016, to tomorrow, Sunday, October 30th. I SINCERELY apologize to anyone that this inconveniences and I really hope to see you all tomorrow. The event times will remain the same as per the schedule above, only the day will change. Remember to join us TODAY for Stonewall's Halloween #FrightNight! Check out the first post in this thread for the event schedule! See you there! 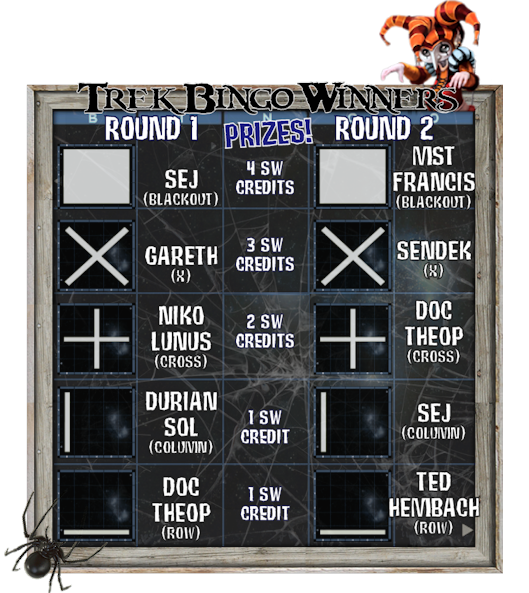 Halloween Fright Night: Event Winners! A HUGE thank you to everyone who participated in Stonewall Fleet's annual Halloween #FrightNight Event! We had an amazing time playing two rounds of Star Trek themed bingo, going on multiple PvE runs, having a mirror universe trivia competition and showing off our amazing Halloween costumes! A special shout-out to @GXV3 and @duriansol for their help in running the event; I couldn't have done it without them both. Check out the event re-cap below! Halloween Fright Night Event: Costume Contest Screenshots! Everyone did such an AMAZING job and put so much effort into their Halloween #FrightNight costume contest entries, that I thought I wanted to share everyone's entries with you! As you know, we had five different categories: Best Superhero Likeness, Best Videogame Likeness, Best Trek Character Likeness, Scariest Costume and your Dream Boyfriend/Girlfriend Costume! Check out everyone's amazing creations by clicking the gallery button below! Sorry I had to bail out all of a sudden before the costume contest. Thanks Voleron for the two rounds of trivia (very fun!) and to Durian Sol for the PVE runs!